Since Ueno Park was established on a former Kanei-ji Temple site after the Meiji Restoration, the park has been the center of culture and art, as well as a place attracting people from all over the city for its beautiful cherry blossoms in spring, and giant pandas in the Ueno Zoo. The park was once a battlefield between former retainers of the Tokugawa Shogunate and the Meiji Government Army during the modernization of Japan in the 19th century. After the fall of the Tokugawa Shogunate, which heralded the beginning of the Meiji Restoration, Ueno Park was established on lands formerly belonging to Kanei-ji Temple. While the Meiji government was planning to build a modern medical institution on the lands, a well-respected Dutch doctor and who was the Head of a medical institution in Nagasaki, Japan, Anthonius Franciscus Bauduin, urged that the area instead be turned into a public park with cultural institutions, which ultimately led to the construction of the Tokyo National Museum. 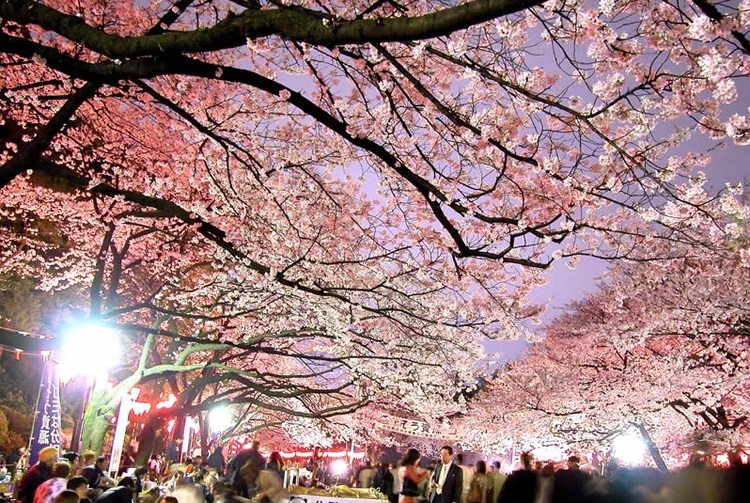 With currently more than 700 trees, the park has been one of the most popular places for ‘Hanami’ or Cherry Blossom Viewing, since the early 17th century. In recent times, the park and its attractions have drawn over 10 million visitors a year. At the time when during the Meiji Restoration, the Tokugawa Shogunate lost power and a new government was established, some of the former retainers of Tokugawa Shogunate resisted the decision, hoping instead for the continuation of the Samurai-lead Tokugawa Administration. One of the most intense battles between former retainers of the Tokugawa Shogunate and the new government army, occurred in Ueno, and became known as “The Battle of Ueno”. A troop loyal to the Tokugawa called the “Shogi-tai” positioned themselves at Kanei-ji Temple in Ueno, a symbol of the Tokugawa Shogunate. The new government army decimated the Shogi-tai with modern weapons imported from England. 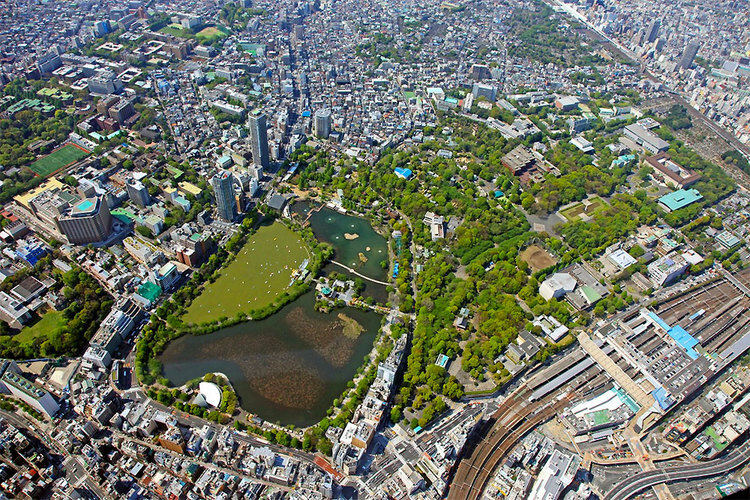 Ueno Zoo, the country’s oldest zoo opened in 1882 in the Ueno Park has the largest number of visitors in Japan. In the 1970’s, the Chinese government presented two giant pandas to the Japanese government, and a “panda boom” exploded across Japan. 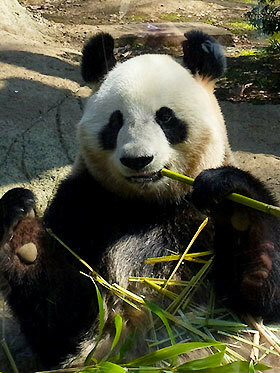 The distinctive and charming giant pandas accommodated in the Ueno Zoo have been attracting people ever since.